Denpasar is the largest city and capital of the island of Bali, Indonesia. It is located in South Bali. Denpasar is a bustling, multi-cultural city and although it can seem a little intimidating the first time you visit, just do not believe those travel guides which say it has nothing to offer. Taxis are widely available for hailing. If you have a group of people, you may want to negotiate a bemo (small van) for a set rate to your destination. Remember that pricing is negotiable. Indonesians are great people, however, they won’t think twice about overcharging you if they can, as would happen anywhere else. Bemo routes in Denpasar are extremely complicated. In addition to the three terminals described in the section above which operate longer distance bemos, there are three more which handle the local routes (as do the long distance terminals!) – Gunung Agung, Sanglah and Kereneng. Unless you are very patient and somewhat adventurous, bemo transport within Denpasar is best left to the locals to figure out. As a rule of thumb though most routes in the city seem to come through Kereneng Terminal on Jalan Kamboja at some stage! Non-Indonesians may be asked to pay much more. A taxi can work out cheaper, is certainly faster and is indescribably more comfortable. Jl Gajah Mada/Jl Suprati. The huge four-faced, eight-armed Catur Mukha statue is situated here at the centre point of the city. Representing the Lord Brahma and it serves as a guardian of each cardinal point. The square is a key point of orientation for the whole city. If you get lost, find your way back here and all will be clear. 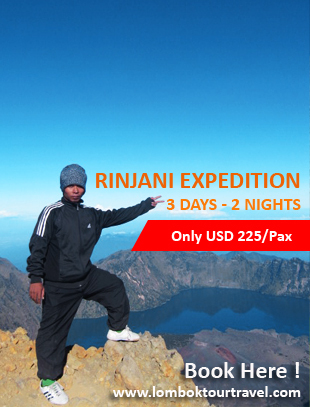 Jl Mayor Wisnu (eastern side of the Alun-Alun Puputan), ☎ +62 361 222680. Sa-Th 8AM-3:30PM, F 8AM-11AM. A much under-patronised place by visitors which offers an informative introduction to all things Balinese, both historical and modern-day. Originally opened in 1910, the building was brought down in the 1917 earthquake and languished until 1932 when resident German artist Walter Spies sparked a major revival. The grounds and architecture are quite charming, and the museum is housed in four separate pavilions. The main pavilion has a great collection including anicent stone, bronze and wooden artifact. The southern pavilion houses many textiles, the northern pavilion concetrates on the history of Baliense performance art, and the central pavilion is devoted to Balinese Hinduism and ritual. Jl Raya Puputan. 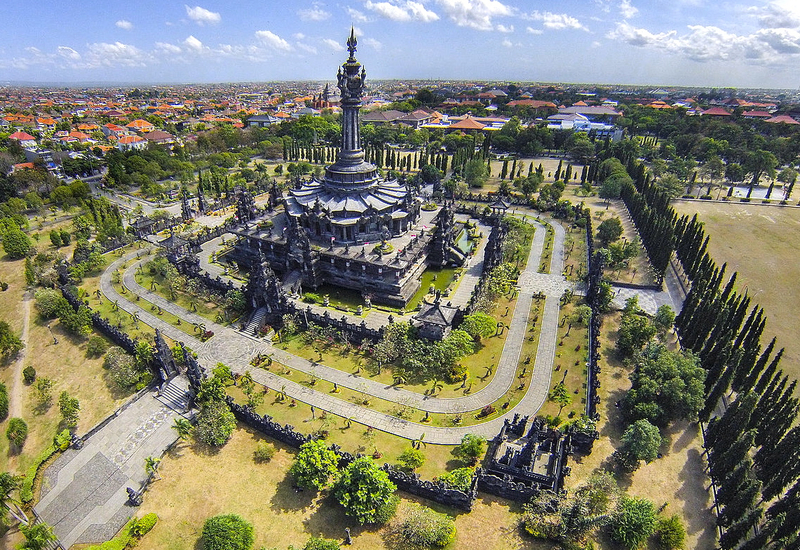 This rather grandiose park is home to the huge Bajra Sandhi monument (literally Balinese Peoples Struggle). The design of the grey stone monument symbolises the date of Indonesian independence, August 17th 1945. There are eight entrances, 17 corners and the height is precisely 45 metres. The monument is most significant though for its commemoration of the various puputans (suicidal fight to the death) of the Balinese in the struggle against the Dutch in the early 20th century. At the nortern edge of the park you will find the governor’s office and other government buildings. Jl Veteren (about 300 metres north of Alun-Alun Puputan). 8AM-4PM daily. The palace and temple of the royal family of Denpasar which is beautifully kept and admirably, open to all residents of Denpasar for worship. Some wonderfully ornate carvings here, even by Balinese standards. A state temple which was built in 1953. Dedicated to the supreme being Sanghyang Widi Wasa, this temple is open to all worshipers without any restriction as it is a government building and not a village temple. There are large ceremonies here twice a month at full moon and dark moon. Ask at the tourist office for a detailed schedule. Located at Jl Sutomo. An ancient temple with a long and glorious history thought to originate in the 14th century. This is a temple typical of the peak of the Majapahit period being constructed largely from red brick. Sadly, much of it was destroyed in the early 20th century earthquake but there are some original remnants including the guardian statues in the inner courtyard. This is a charming temple and one which is seldom patronised by tourists. Located at Jl Hayam Wuruk 175, ☎ +62 361 23511. 9AM-5PM daily. A small, private fine art museum established and owned by I Gusti Ngurah Gede Pemecutan and which exhibits his own work as well as that of other artists. Also has facilities for public dance and other peformances. Located at Jl Nusa Indah,. 8AM-3:30PM daily. A museum that covers the history and essence of Balinese art. The classical schools are well represented by both paintings and sculpture and there is a large section featuring contemporary Balinese art. Gamelan orchestra performances are also held here.